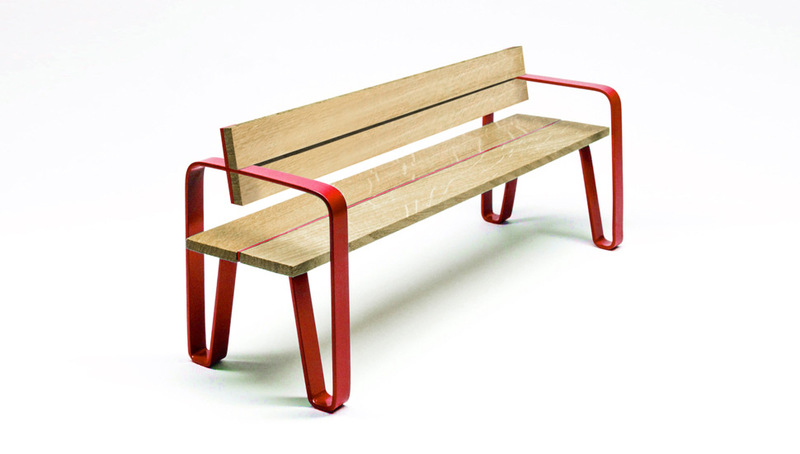 Two structural soft shaped steel elements contrast with the rigidity of the solid wooden staves of seat and backest. They also work as armrest and structural elements for backrest itself. A colored line, runs in the middle of the seat, between the two staves, breaking the wooden surface and joining the structural steel elements placed on two sides.